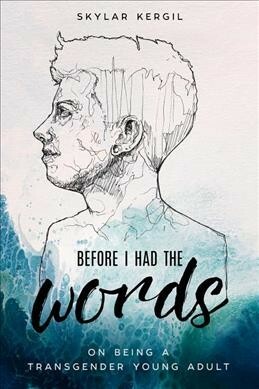 Before I Had the Words is the memoir of Skylar Kergil, an artist, activist, and YouTuber who is a transgender man. This book details the struggles he faced, both with his identity and later with his transition, as a young adult in a turbulent and at times intolerant world. Skylar Kergil was born “Katherine,” a rough-and-tumble tomboy, who, from a young age, was often mistaken for a boy by strangers. Aside from a childhood summer when he requested that his family call him “Mike,” his first foray into gender exploration came when, at age 11, he created an online profile in which he claimed to be male. As Kergil matured and began to find terminology for his identity, he did so against a backdrop of struggles, particularly his mother’s cancer and his older brother’s battle with substance abuse. Even with the support of his family and friends, Kergil endured worldly bias and intolerance as he underwent his transition. However, through resilience, art, and candid vlogging, he overcame hardship and retained a steadfast commitment to his true self. Having never read a memoir by a transgender person before, I found this book enlightening. It contains many details about the daily life of a transgender person that I had never considered. For example, there are explicit descriptions of the bodily processes and complications of transitioning. I enjoyed the forthright tone of the writing, and the poetic excerpts from Kergil’s journals.